Cultivate curiosity, creativity, and academic achievement today! "Can you make me an author?" Jasmine asked Jef Czekaj when he visited her classroom. When he declared, "You're an author!" she beamed with the pride and confidence! She believed, no….she knew, she could be an author. Your donation can bring joy and hope to Jasmine and some of Boston's neediest children. We have requests from dozens of teachers and librarians, from some of Boston's most diverse and low-income schools, to bring an author to their classroom to help cultivate children's curiosity, creativity and academic achievement. We cannot meet the demand for our services. With your donation, we could do much more! 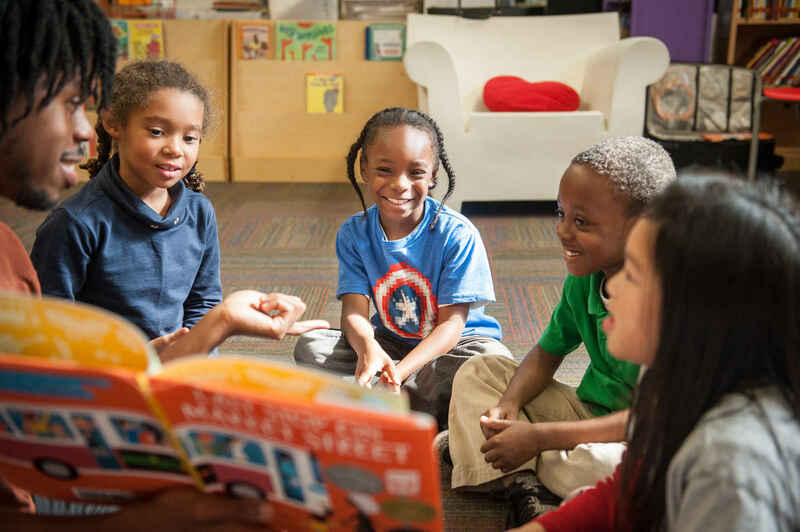 A monthly gift to our Moment of Wonder Club, brings authors, illustrators, and books to the children in Boston's most under-resourced classrooms.